Everything you need to know about ‘wet’ central heating systems. We cover essential maintenance, fault finding and even practical advice about how to install a new system. Whether you are trying to work out why your heating system is not working as it should or you are trying to understand which systems you should use, we have projects to assist you. We have information on oil and gas central heating systems. 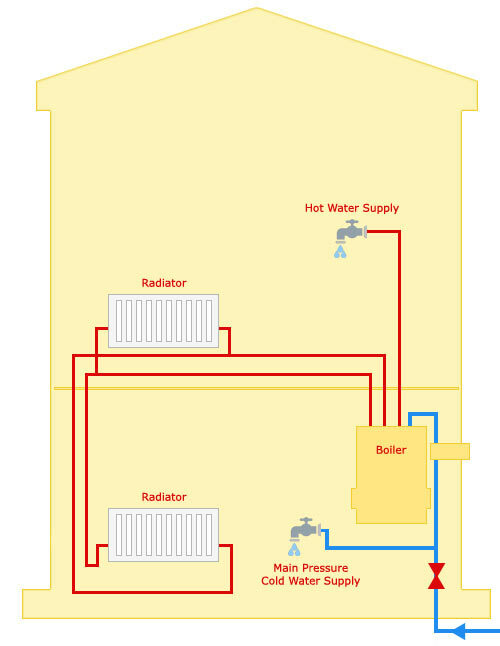 Central heating - balancing - Learn how to balance your central heating system. Some radiators sometimes get hotter than others. This can mean your central heating system is not balanced correctly. Power flushing central heating systems - Information and advice on giving your central heating system a DIY power flush. Improve your heating system by power flushing it yourself. 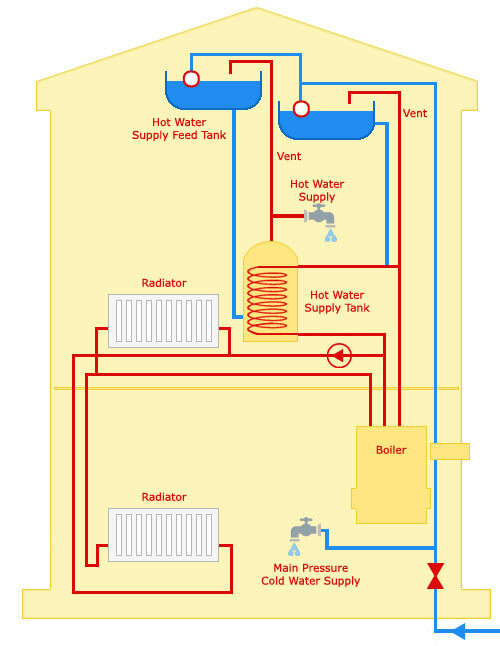 This section covers all the essentials about a domestic central heating system. We cover the maintenance tasks you should do and when, we cover all the common problems that can occur with central heating and how you can fix them. There is comprehensive information on all aspects of central heating systems. We do not cover Radiators and other heating elements or emitters as this is a large topic in its own right and is covered in a separate section. 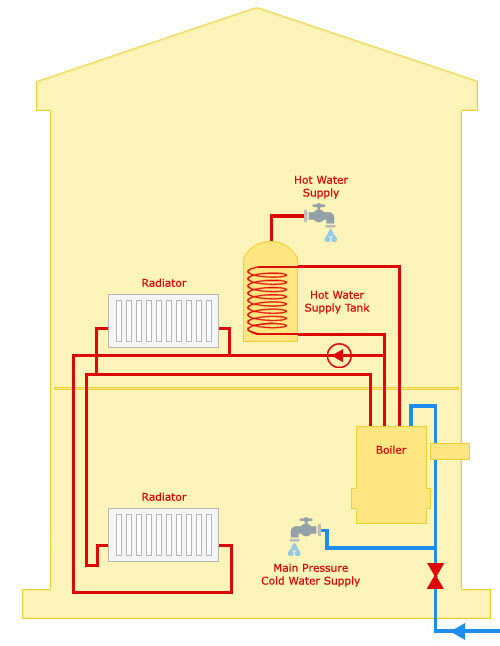 Heating and Zoning Controls are also covered in a separate section, as is all the information that you might need about Hot Water Systems. Wet Central Heating Systems make up in excess of 95% of the domestic central heating, so we will focus on this type of central heating. All wet central heating systems have the same components; A boiler to heat the water and a device to transfer the heat to your room, usually a radiator or possibly underfloor heating. Boilers can be powered by a number of fuels most typically gas – over 90% of homes use gas for heating. Oil is popular especially off the gas network, but other fuels can be used such as LPG or Solid Fuel. The different types of central heating system probably have a greater noticeable impact of the hot water in your home, but the central heating system and boiler is inextricably linked. It is important to understand which kind of system that you have before you start any type of fault finding or maintenance.